Mai Chau is a beautiful valley that can make visitors forget the way back once they set foot here. In Mai Chau Valley, you will have chance to discover the rustic ethnic villages, unique ethnic culture, characteristic cuisine. You will definitely have unforgettable moments in this beautiful valley. 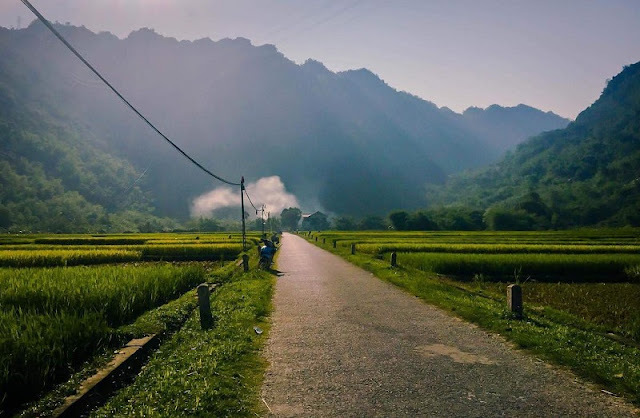 Mai Chau is definitely the place you should go! Mai Chau is a district of Hoa Binh Province, just some 140 km form Hanoi to the west and 60 km from Hoa Binh City. Mai Chau Town is located in the heart of a beautiful valley that is home to Thai ethnic minority and some others. Situated at high latitudes of Northwest region, Mai Chau is endowed with cool weather all year round and beautiful mountainous landscapes. The residents here are almost ethnic people. Stilt houses bordering both sides of the roads and dotting at the foot of the hill are the eye-catching of Mai Chau. Along the mountainous road to Mai Chau, stop and stand atop in Kun slope and admire the magnificent view of towering mountains with twisty roads halfway up to the top. Arriving in Mai Chau, you long-held dream of a relaxing but exotic vacation is come to the reality. Take time to witness the complex of houses on stilts of the residents, especially of those who live in Lac and Pom Coong villages. They are Thai people - the largest group among the seven ethnic minority groups inhabiting in Mai Chau. They have changed their traditional house in to a micro tourist attraction serving every visitor. Every single stilt house is a small works with the carefully constructed and built in the same style: placed on several strong wooden pillars at the height of about 1.5 m above the ground and the floor is paved with bamboo or planks, the roof is covered with fan-palms or tiles. The windows of each house are very large and always open widely to catch fresh wind. Some owners pay much attempt to display or hang on these windows some colorful orchid baskets and bird cages, making a vivid and compelling image. In particular, virtually in any house, exits a loom to weave clothes laid nearby a window or under the floor. With these simple wood-made looms, by meticulously diligence and skillfulness,Thai girls have produced beautiful and bright-color patterned cloth used in in bags, clothes, blankets, cushions and other lovely items as souvenirs for tourists. Around these stilt houses are straight lines of areca trees and a few stone-embanked ponds with the pond's surface is embellished by pink water-lily flowers. The beauty of each house like a color adding into the great charm of Mai Chau and make it a dreamy land. 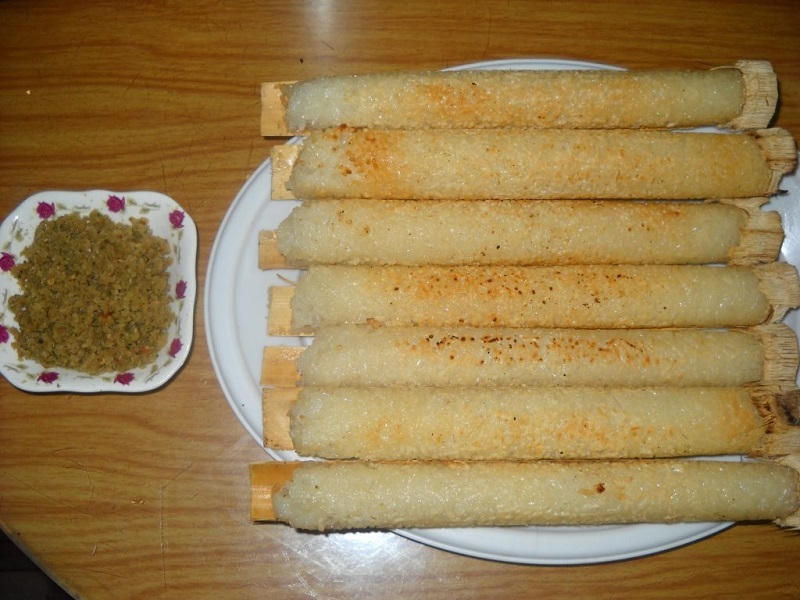 In the early morning or in the afternoon, standing on the top of Thung Khe or Nhuoi Valley, visitors can enjoy the fantasy and miraculous scene as the smoke of each kitchen mixed with the mist on the air. 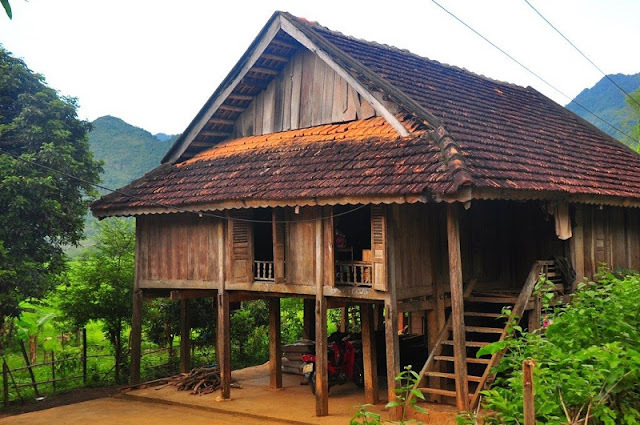 The sincerity and simplicity becomes its own charms for the tourism of Mai Chau to "take off". Based on a combination of harmony between tradition and modernity, Mai Chau has gradually become a pearl of Vietnam. Not only because of the beauty of nature but also due to the sparkle of the ethnic culture elite, Mai Chau is definitely listed as must-visit place in Vietnam.